Located outside the city of Thika on an acre of land – the average size of the peasant farms in the region – Samuel Nderitu and his wife, Peris Wanjiru, created the G-biack educational and demonstration center. Thanks to their efficient, tireless and committed work G-biack won the 2012 prize for food sovereignty. 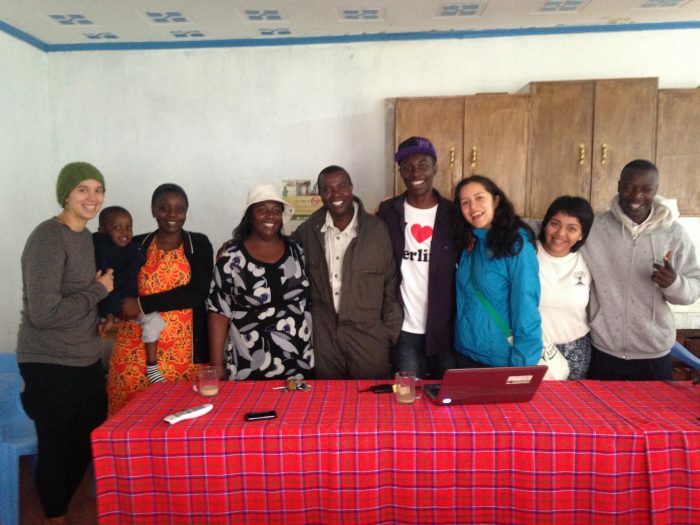 With only 6 employees, G-biack offers education and support to small farmers, teaching them techniques of biointensive agriculture, nutrition and conservation of natural resources. They also have a program focused on women. “When we got to this field there was only a pair of mango trees,” Samuel comments, “now there are more than 160 beds planted with vegetables, grains and legumes, a greenhouse, a hen house, a nursery, two ponds for raising fish, scores of fruit trees and a corral for goats.” Thanks to the solidarity of foreign donors, strategic alliances with organizations inside and outside Kenya and to the committed work of the work team, G-biack is a light house of sustainability that illuminates the central province of Kenya. “Look, I went to agricultural school through much effort. I had no way to pay, someone paid for me. Later I found out that she was a donor from the United States, from around the Bay Area. Thanks to the trust and support of that woman G-biak exists and I do what I do, I am grateful, everything has been worth it,” Samuel says, smiling a deep, melancholic smile that never seems to disappear. 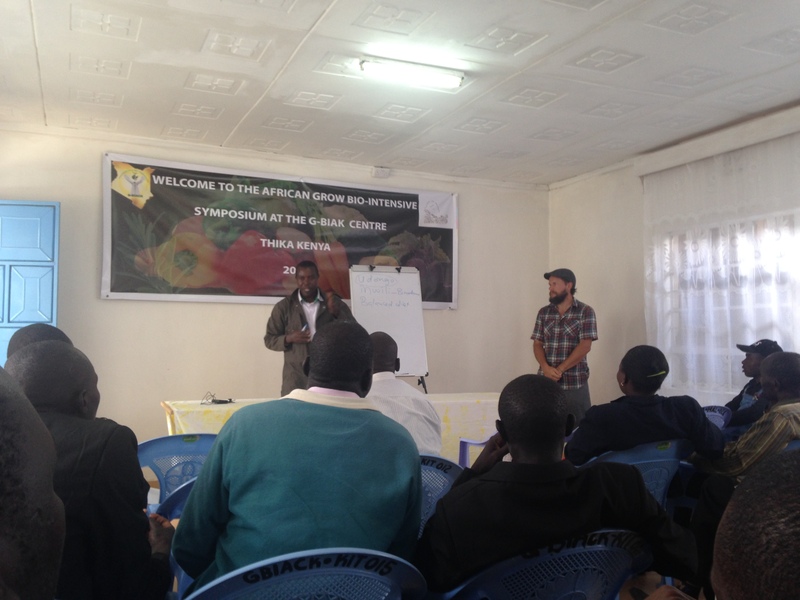 Members of G-biack and Ecology Action giving an workshop on biointensive agriculture to a group of men and women pastors from the Kenyan plains. 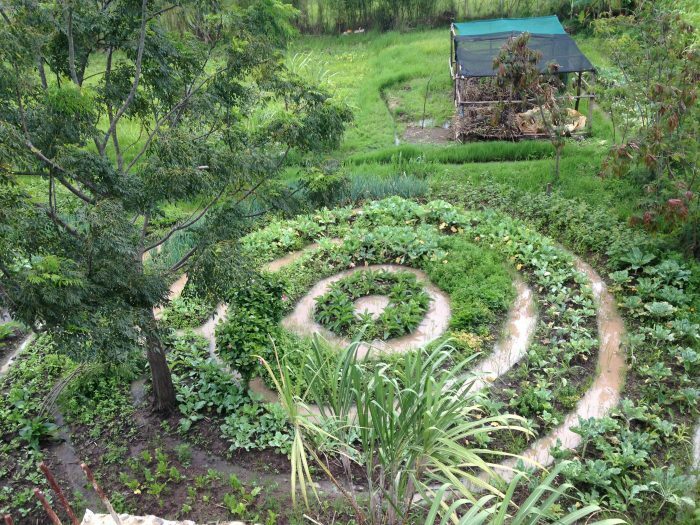 Demonstration circular garden for vegetables production at G-biack, demonstrating techniques used for the optimal water use. *This is the third part of the series entitled: ‘Africa and the Crossroad: Is Sustainability?’ written after a visit by the author to Kenya to participate in the general meeting of Agricultural Biodiversity Community ABC in November 2015. It was originally written in Spanish and kindly translated by a volunteer of the translation team of Food First. The author is deeply thankful to the anonymous translator.